An exclusive load-matching platform by BigRoad Freight empowers drivers to choose the shipments they want and get paid faster with personalized load searching. The platform incorporates multiple parameters, such as hours-of-service availability, vehicle type, weight and destinations. 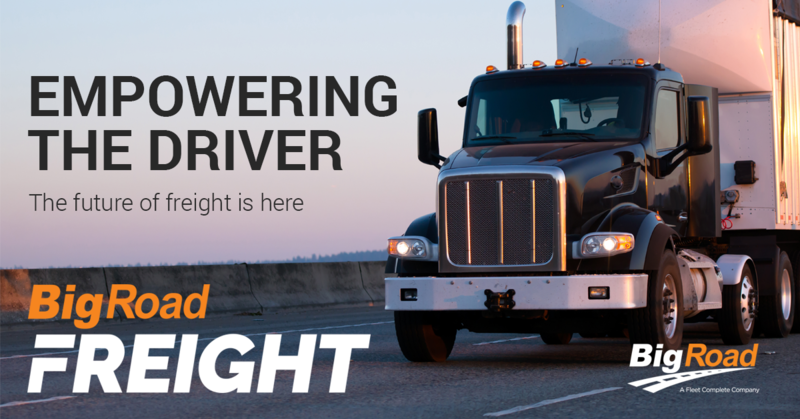 BigRoad Freight, an offering from BigRoad (a Fleet Complete company) has launched a set of new features that give drivers even more power and flexibility. Users now have access to personalized load boards, load searching, and truck posting within the BigRoad app, giving drivers more control over the shipments they choose. BigRoad was the first telematics company to launch in-app load matching, built on vehicle data and artificial intelligence learning that hones into hours-of-service metrics. The company has been striving to identify enhancements that go beyond recommendations. The new BigRoad Freight load board is a curated list of top 10 loads, personalized to each driver and based on their unique criteria, including vehicle type, weight and hours-of-service availability. It puts load searching on a new level, where the power of finding loads is in the hands of the drivers. Dubbed BigRoad Freight 2.0, the new service will be launched directly from the BigRoad app, giving drivers access to the shipments they want, whenever they want, and get paid fast. Beyond the ability to search loads, post availability and view a curated list of loads, BigRoad Freight is committed to getting drivers paid early and bid on shipments.